Enter the text and right click on it. Select ‘Create Outlines’. Using the Pen tool draw a line. Use no colour. 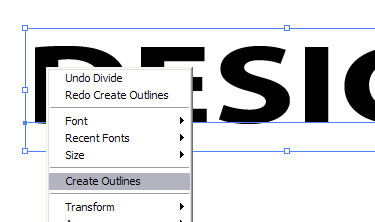 Choose both the line and the text using the Selection Tool and click on Divide. Choose the upper part of the text using the Direct Selection Tool. Fill it with a Gradient. Use the same step for the other part but put the Location as 85%.